What’s going on? You guys loved the previous book review I did. So, here I am again with another one. 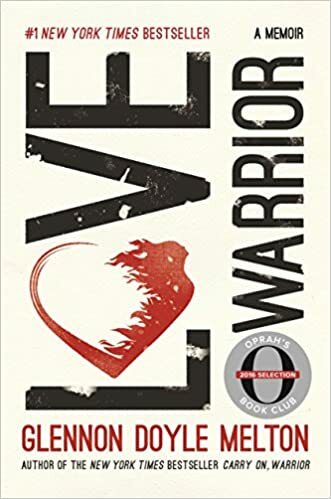 This time I’m going to review Glennon Doyle’s Memoir entitled Love Warrior. Glennon is a #1 New York Time Bestselling author and is apart of Oprah’s 2016 Book Club. Her previous book, Carry On Warrior, is also a New York Times Bestseller. I purchased this book from Target and picked it up because of the title and a quote she used from Joan of Arc that I found on within the first pages that read “I’m not afraid…I was born to do this.” I needed that very simple, little quote. At that time everything in my life seemed to be crumbling and when I read it, it was if God, Himself was reassuring me. I wanted to study love not because I wanted to. The night before it was downloaded to me. I just knew I had to. I’ve always been a lover of love…it just never seemed to work for me. While at Target, I tried to find every book about it I could about love…in the couple of aisles Target has for books. I know it seems crazy to do that in Target but that’s where I got the revelation to incorporate the writings of authors in my search. I know this topic is very broad but I had to use what I had and what I had was an overwhelming need to know more about it…to really study it. I had always wished for it but never have I studied it. I initially thought that meant to research it through a biblical lense but that changed in Target that day. I got an unction to go to the book aisle so I did. I found a couple of books that had Love in the title so I flipped through and was interrupted by someone asking me, “Why did you choose those books?” I responded, “I want to be a student and teacher of love.” As I turned to answer her, there was a brown skinned, natural haired lady was standing behind me on the other side of the same aisle. She seemed pleased by my response and we had a short, very pleasant exchange. I only was able to read the first couple pages of the book before the interruption but there seemed to be depth found in those couple of pages that I was craving. (we’ll go into that more in a few) For me, that conversation solidified that this would be next on my list. Unlike Uninvited, I won’t be reviewing this one by chapters but rather parts of which Glennon broke the book into. It seems easier and just all around more efficient to do it this way especially since it’s a memoir. Part 1 spans from Chapter 1 to Chapter 5. I know two become one once wed but the way the sentence was structured it was as if they needed the newness because of a past that wasn’t apparently so bad that she intentionally left it out which was indicative of her starting the book at her wedding. I flipped to the next page and she revealed that she is pregnant and sober. I guess that past was one filled with partying which is led to this shotgun wedding. 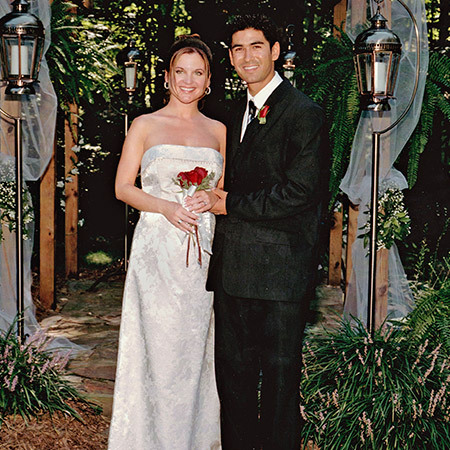 As she goes on to describe, the wedding was beautiful and she seemed to have a wonderful family who fully supported her but her and Craig just seem really unsure. I assumed it was cold feet; as she recalls both of their hands trembling. They do and say what they are supposed to and just like a magic pill she believes the worst is behind her because she’s now Mrs. Melton. On the very next page, before Part 1 begins, she finally spills the beans. Hope you guys are as intrigued as I was. Currently, I’m over halfway through the book. I won’t spill the beans yet but let’s just say, you’re gonna wanna tune in to the next review post. Anyway, I hope you guys had a great week and an even better weekend. Until next time, love you to pieces. *I don’t own any rights to the pictures featured in today’s post.